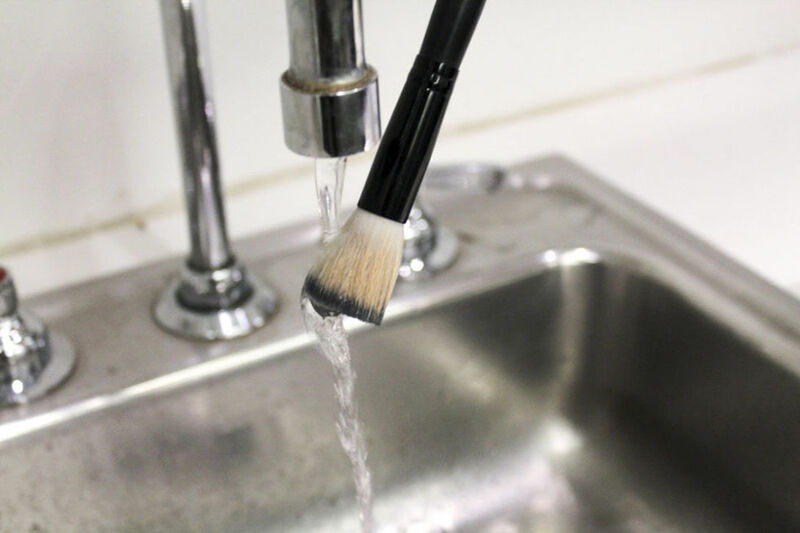 Whether you own a single powder brush or the full collection of Real Techniques tools, all can benefit from a few simple steps that keep these brushes clean, hygienic, and performing the way they ought to. -Gentle Cleaning: Makeup brushes should be cleansed of product and oil buildup on a regular basis. This can be easily achieved with a brush cleansing spray (pictured below). All it takes is 2-3 pumps of spray cleanser on to a tissue or paper towel, then gently buff your dirty brush into the saturated tissue. Use a gentle hand, you don't want to fray your bristles. Repeat this process on each brush until all are thoroughly clean. You might need to double cleanse some brushes that are used for highly pigmented products and creams. This process should take place on a day to day basis, if not more frequently. - Deep Cleaning: This step is imperative to extending the lifespan of your brushes. It's especially critical for the cleanliness of brushes used with cream or liquid makeup products, i.e foundation, eyeliner, cream blush, etc. All you need is a gentle shampoo (or brush shampoo). I like to use Baby Shampoo because it leaves behind a light scent. Dampen your dirty brush under running water. Apply a small amount of shampoo to the palm of your hand and gently massage the bristles into the shampoo until lathered (see photo below). Rinse bristles thoroughly and squeeze out excess water. If suds remain, repeat the rinsing process until water comes out completely clean. Once you've shampooed all of your brushes, put down a layer of clean paper towels on a flat surface and lay your brushes out to dry. It's not a bad idea to form your brushes into their proper shape if they've frayed during cleaning. Most brushes will dry overnight. This process should be done on a weekly basis to keep product buildup and oil at bay. If you find your brushes in any these conditions, its time for a good washing! 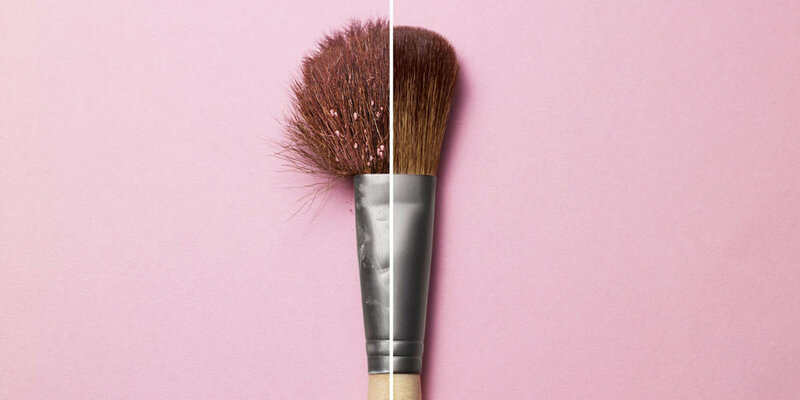 You might be tempted to use rubbing alcohol or dish soap to clean your brushes...DON'T! These products are too drying and abrasive to delicate brushes and may cause bristles to shed or break. Keep up with regular gentle and deep cleaning, and your brushes will last you for years longer than you expected!